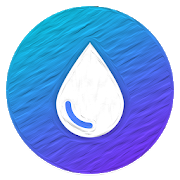 The only icon pack with icons drawn with oil painting. Circular shapes like Pixel style icons. Each icon is carefully designed. Artistic and brilliant colors, the icon pack that gives a touch of art to your device. ★ Lots of alternative icons to make customization to the next level. ★ Frequent Updates with new icons and Updated activities. 1) Install supported theme Launcher (Recommended NOVA LAUNCHER). 2) Apply Oil Pixel Icon Pack by settings of your new launcher or throug app menu "apply"